Saint-Remy-de-Provence is situated at the western edge of the Provence region and the town is the capital of the Alpilles, the hills that dominate this section of the countryside of France. 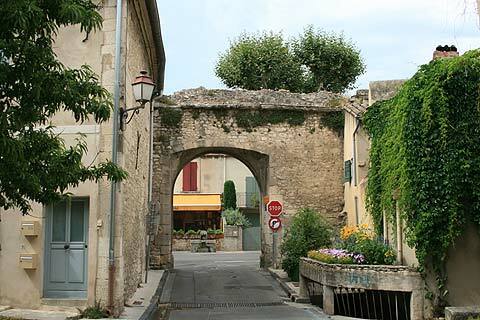 It is one of the oldest towns in France: Saint-Remy-de-Provence was founded by the Celts more than 2500 years ago and developed by both the Greeks and the Romans. More recently, the town is well known for its association with Van Gogh. The painter spent the last year of his life at the asylum in the town, where among others he painted the famous 'self portrait with bandaged ear'. Whilst living in Saint Remy de Provence Van Gogh painted more than 150 paintings including many of those for which he is most famous. France This Way comment: Saint-Rémy-de-Provence is in an attractive setting in the valleys of the Alpilles, and has a lovely historic centre to explore. The town is everything a Provencal town should be with narrow streets, sleepy squares, fountains and boulevards often shaded by centuries old plane trees. 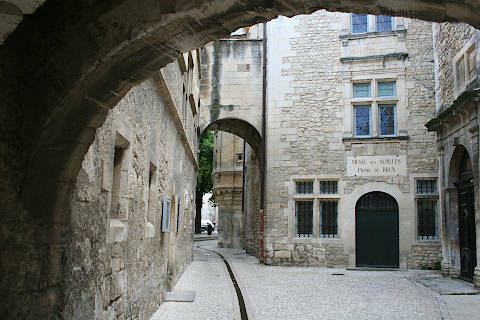 You can enter the town centre through one of the imposing gateways, the Porte Saint Paul or the Port du Trou: these were part of the original fortifications of the town. From here you can start to explore the pretty tree-lined square in the centre of the town, and the surrounding streets containing many lovely old town houses and little features that will catch your eye. The shops in the centre are also quite interesting, with lots of small boutiques and art galleries, and you will find plenty of bars and restaurants to make your stay a pleasant one. Art anthusiasts can follow a guided walk around the town and see the locations of 21 of Van Gogh's paintings, each point marked by a reproduction of the original painting. It is also possible to visit the asylum and monastery at Saint Paul de Mausole where Van Gogh came for treatment after cutting off part of his ear. There is a very pretty cloister within the monastery and also a reproduction of Van Gogh's bedroom. Both the walk and the asylum are a very moving experience if like me you are an enthusiast of the life and paintings of this great artist. One important attraction at St Remy-de-Provence is the archaeological site at Glanum. The extensive Roman ruins at Glanum have been excavated and now provide a fascinating insight into life for the Romans 2000 years ago (Glanum is a listed French national Monument). The occupation of the site of Glanum in fact predates the Romans by several centuries, but most of what we see today comes from the Roman period. Among the highlights are the triumphal arch (Arc de triomphe) and a very well preserved cenotaph featuring elaborate carvings. Less remains of the other buildings of Glanum, but there is sufficient to understand the layout of the original town. 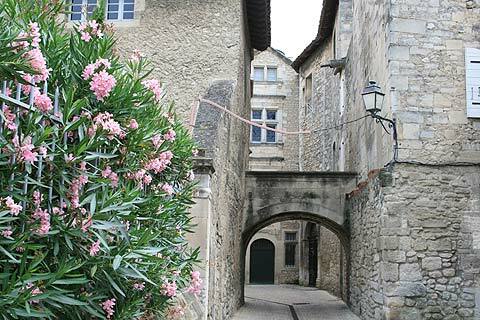 Saint Remy de Provence is also the birth place of Nostradamus and you can see his house in the town. There is an attractive fountain tucked away on the corner between Rue Nostradamus and Rue Carnot which has a bust of Nostradamus decorating it. 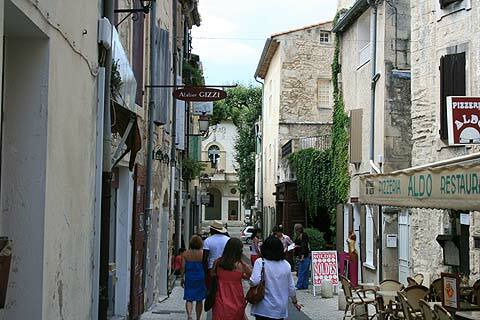 Market day is Wednesday in Saint-Remy-de-Provence. 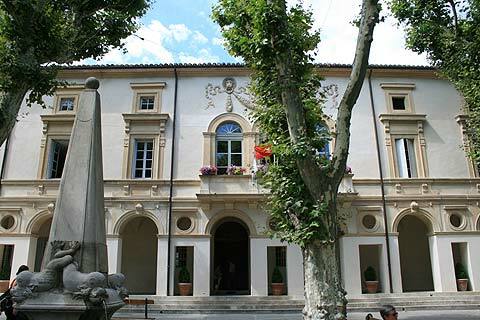 The Hotel de Sade in the centre of Saint-Remy-de-Provence has been turned into an archaeological museum and contains finds from the ruins of Glanum. 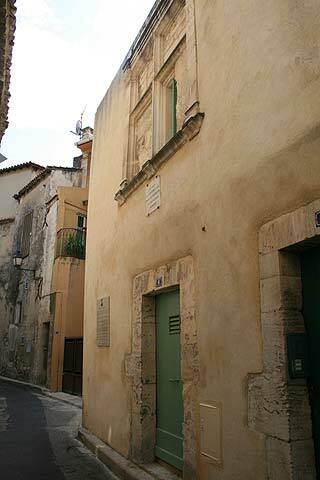 The Musée des Alpilles is housed in a former Renaissance house called the Hotel Mistral de Mondragon. 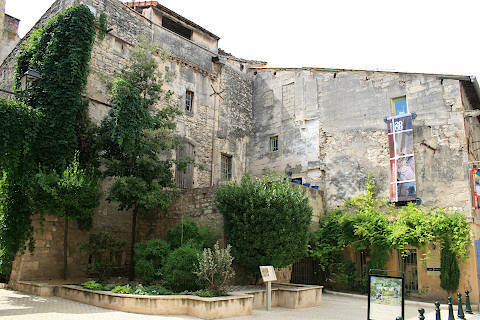 The house has an excellent inside courtyard and many Provencal traditions are displayed in the museum. Another museum, the Musée Estrine, housed in an elegant 18th century house is dedicated to Van Gogh. Unfortunately there are none of his paintings on exhibit here but there are life-sized photos of them and a slide show of his work. There is a great deal to enjoy in the region, especially the beautiful landscapes. One of our favourite villages in France is also just a short distance south-west of Saint-Remy-de-Provence at Les Baux-de-Provence while the famous historic town of Avignon is to the north.